The talented and generous David DeChemin is currently sharing his book Photographically Speaking: A Deeper Look at Creating Stronger Images for free. Get it! I have been working on a new body of work. 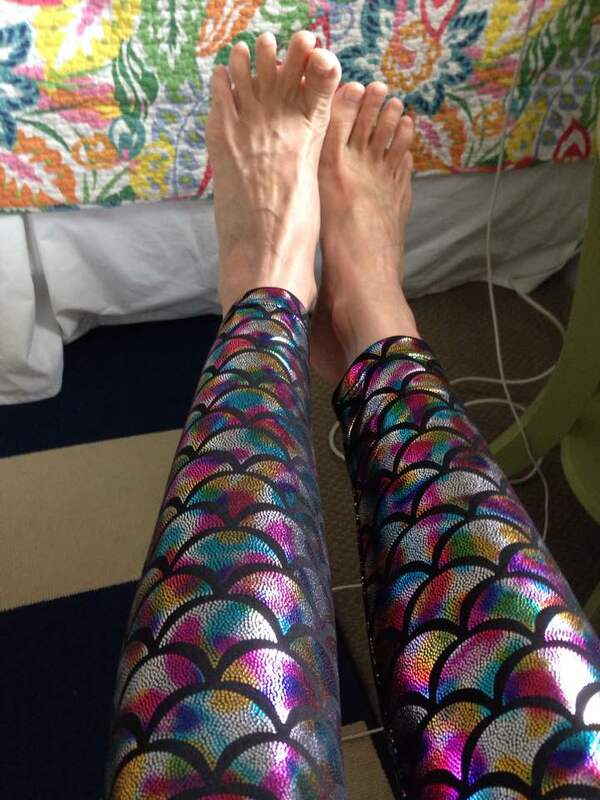 I was hoping the muse might send me something a little lighter and more accessible than, say, The Mermaid Project. Alas, she has not. But, a joy that she has visited at all. I have been shy about sharing it, but here’ a look at the piece that started it. What do you think? I value your input. 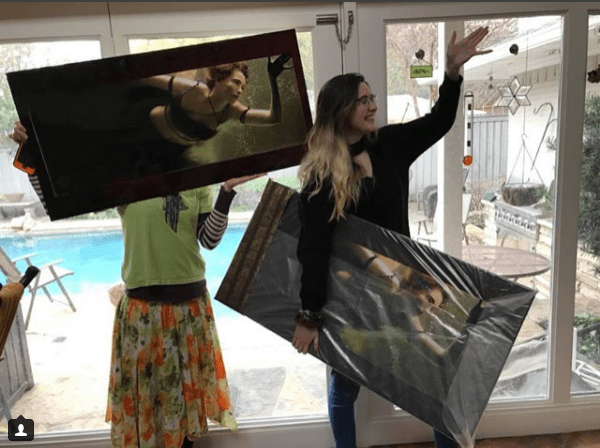 That time not only one, but two, family members needed at 20″ x 40″ mermaid print. Now, one of them is the model in said, image, it’s true, but I was so excited to once again deliver two mermaids to a client. This was however the first time that I delivered two of the same image. One is on metallic canvas, the other is on aluminum. It has been a busy time. Sadly, both my print on demand book maker and my online gallery sales portal both closed up shop, so I needed to research and enroll with new providers. Thankfully, there are lots of great bloggers and articles out there, so doing the research was easy. I do A LOT of research. I thought I’d share my choices with just in case you need any of these services. As in all things, I strive to find the service provider with the best value proposition for me. 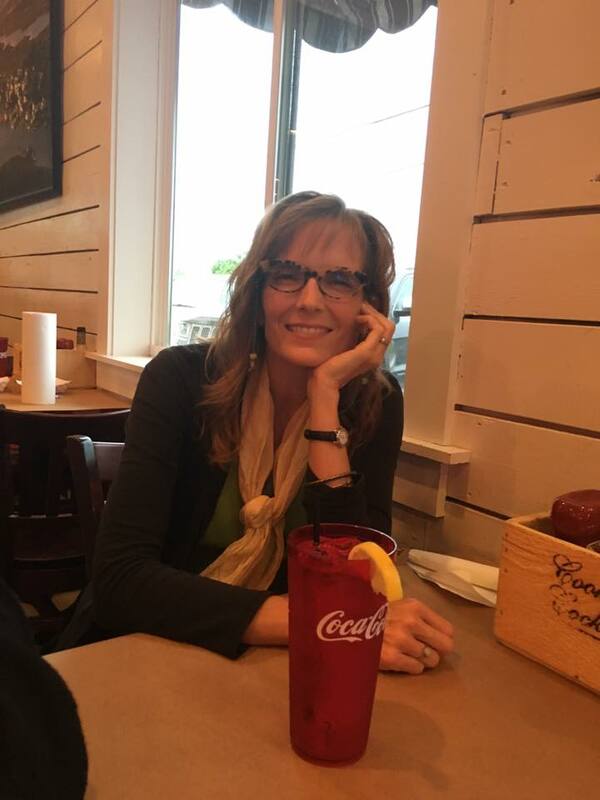 In my case, I wanted an attractive, flexible, and intuitive (for both my clients and myself) interface; a choice of plans to meet my varying needs; and confidence in high quality products. Pixieset was already networked with my professional lab, so I knew I’d be happy with the printed products. They have plans from free to $8 per month and up. The free hosting plan means a 15% fee on all orders, so if you are doing more than about $550 in orders in a year, it’s well worth it to make at least one upgrade. If you want to use Pixieset, please use my REFERRAL LINK and receive 250mb of free additional storage space with any plan. I started using Mixbook last year for a great big travel documentary project. My client gifted me a copy of the final product, so I know they are as lovely as the reviews suggested. Quality and a decent album making software were my real priorities for this service. Mixbook has that. I just made up another one, and it took me less than a day for a textless product of 29 pages. Use my REFERRAL LINK and get $20 off your first Mixbook order. I have been a longtime client of White House Custom Color. I have accounts with a number of big professional labs. They all do good work, but WHCC is my go to. My entire show last year was printed with their services, from the aluminum prints, to the canvas, to the stunning Torchon paper giclees. They do not have a referral program, but, if you need a great lab with great value in their pricing, head on over. 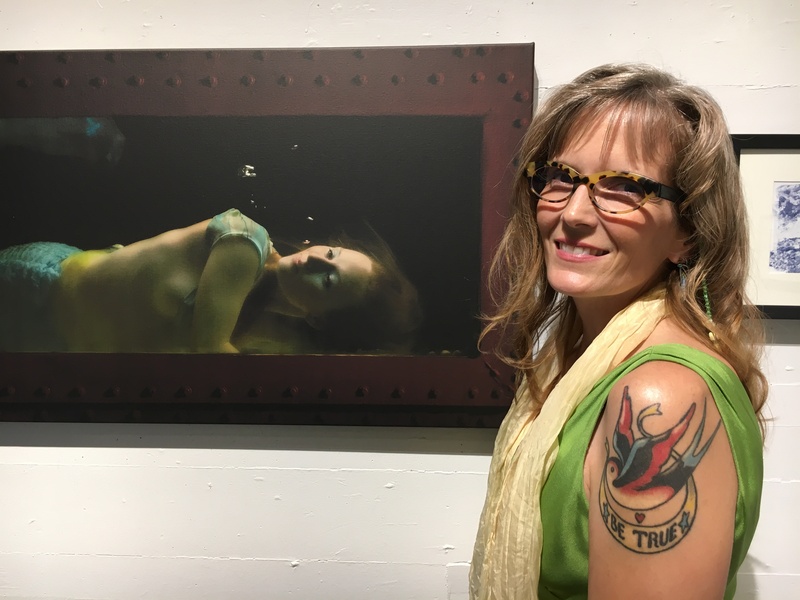 Earlier this year, when I was getting ready for my show at Rehoboth Art League, I was looking through the archives for a few images that would fit in a gallery with The Mermaid Project images. I settled on a theme of Mythic Portraiture. I had a fair amount of work that fit within that scope, and it blended well with the merfolk. 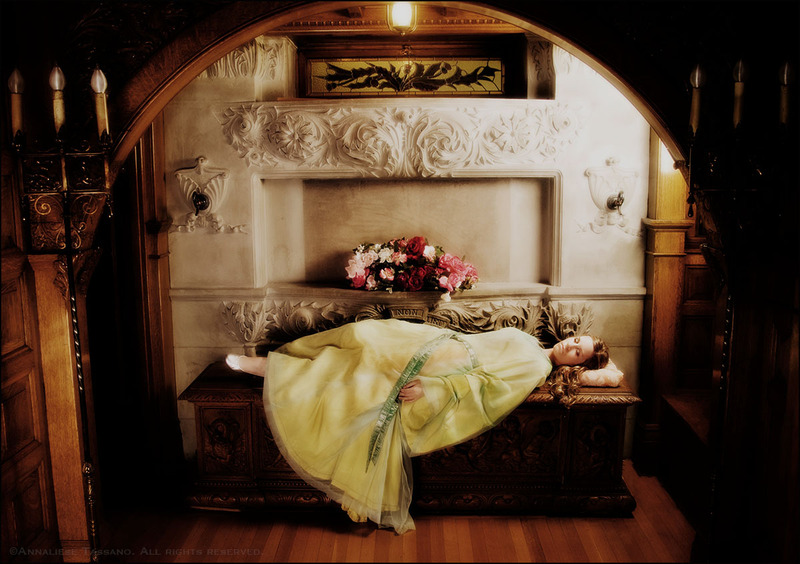 I was town about my Sleeping Beauty image. 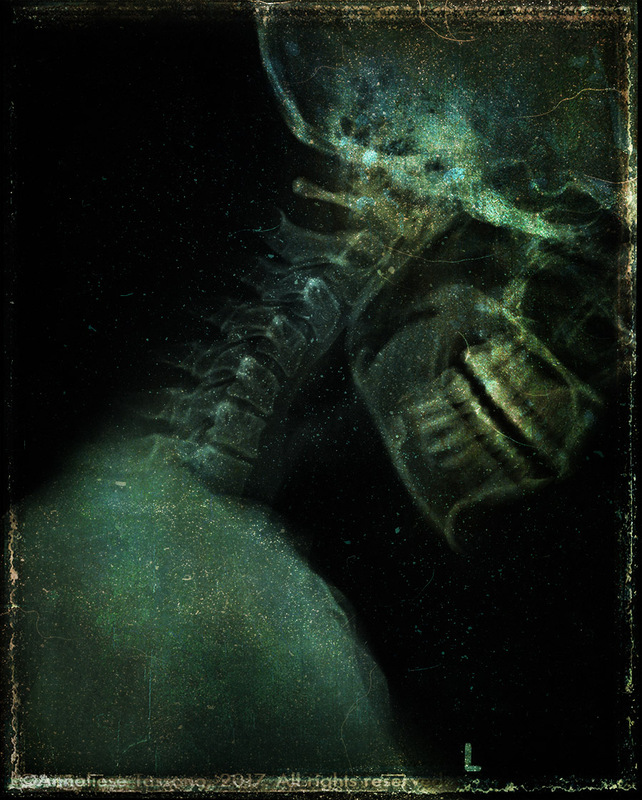 It was originally a commercial piece for a theater production and seemed a little glib for a gallery show. Before giving up, I wondered if I could revisit it, rework it, and give it a more mythic and fine art feeling. I rolled up my sleeves and spread out my virtual tools and came up with a Victorian treatment for it. I was still not sure. But, my policy became, “Print everything, edit later”. I ordered it on the most luxurious fine art paper that my lab uses and waited for its return. When it arrived in the mail, I knew what it was. I was hesitant. I did not want to dislike it. When it fell out of the shipping envelope, still in its protective sleeve, I gasped. Even clouded behind plastic, I could see that it was shockingly beautiful. “Well, I guess that is going in the show, then,” was the first thing that sailed through my mind. “Actually, I think that might sell.”And, so it came to pass: it was the first red dot that went up the night of my opening. Even better: it wasn’t the last. Prints on that same lush, fine art paper are for sale. As a small, unlimited edition print, it is among my most affordable prints available right now. 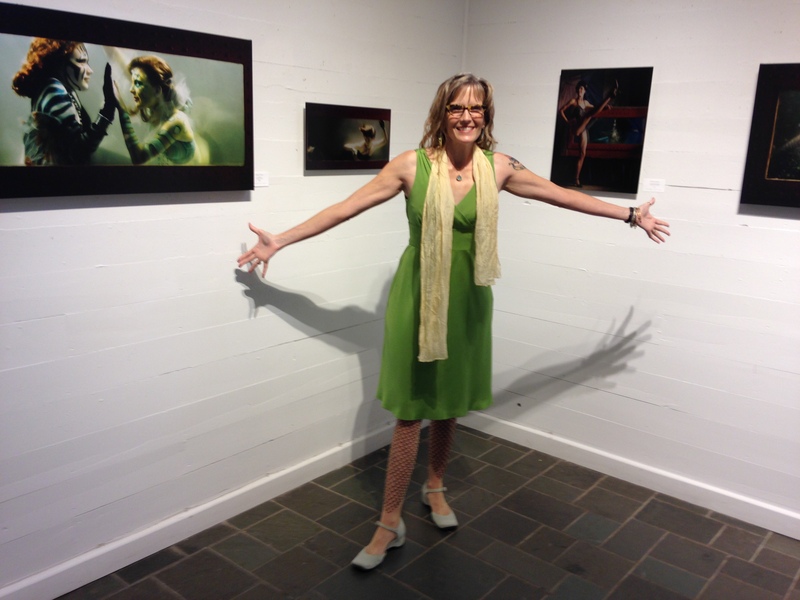 It’s official: I lived to tell the tale of My First Solo Show! It went really well, including the sales we made. That’s the short version. 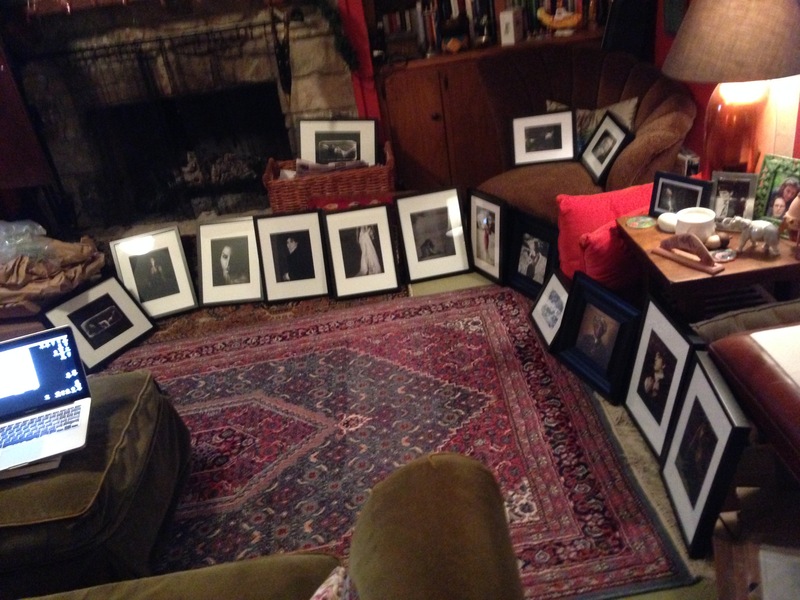 I prepared 27 images for the show: printing and framing, packing and shipping. Prices ranged from $65 for small, unlimited edition works to $1000 for the 20”x40” mermaid printed on metal, and many in between. The gallery notified me that they had arrived safe and sound about the same that I was preparing to fly to the east coast, myself. I had a quick visit my one of my great mentors, photographer Blaine Pennington. We talked shop and caught up over Ethiopian food, as we always do. I was thrilled to hear that he was going to make it down to Rehoboth Beach to attend the opening. My parents and I made the drive with the traditional stop for delicious early strawberries from the farms as we approached the shore. We were too late for me to check out the gallery that day, so it would have to wait for the morning. 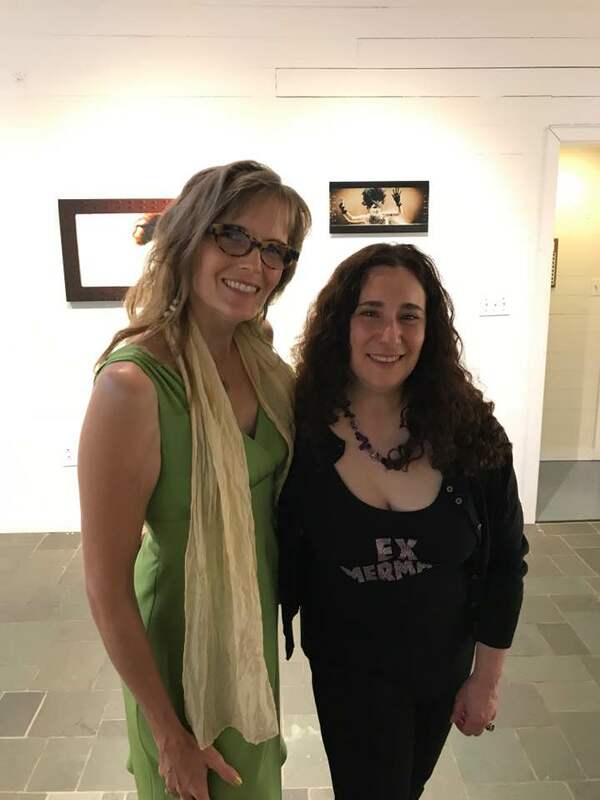 The next morning, wearing my mermaid leggings, I walked into the rustic but lovely and light filled main gallery at The Rehoboth Art League, and it was filled with my work. Mermaids in several sizes and media swam on three walls, while other mythic characters made throughout my career adorned the other wall. I had a lovely moment to myself, soaking it up, approving not only the hanging job but the work of a lifetime. 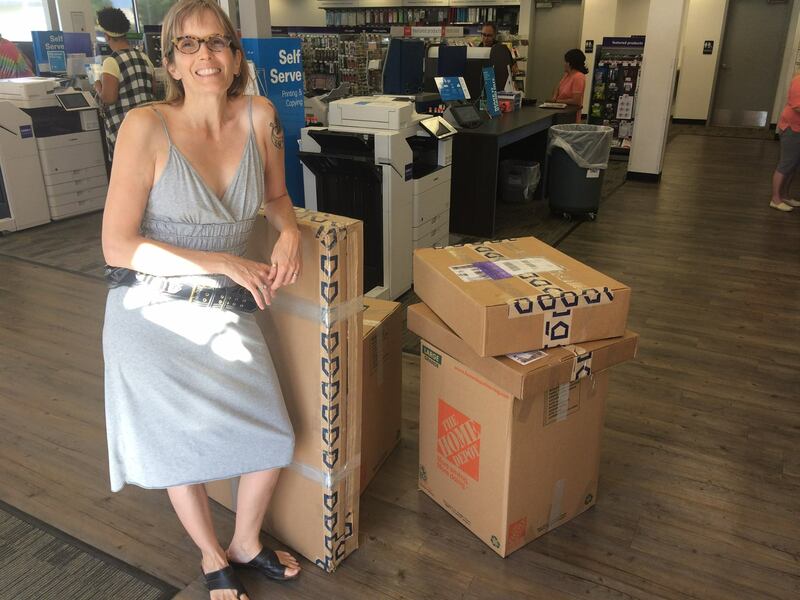 The gallery director told me it was and easy show to hang and complimented my very serious packing. 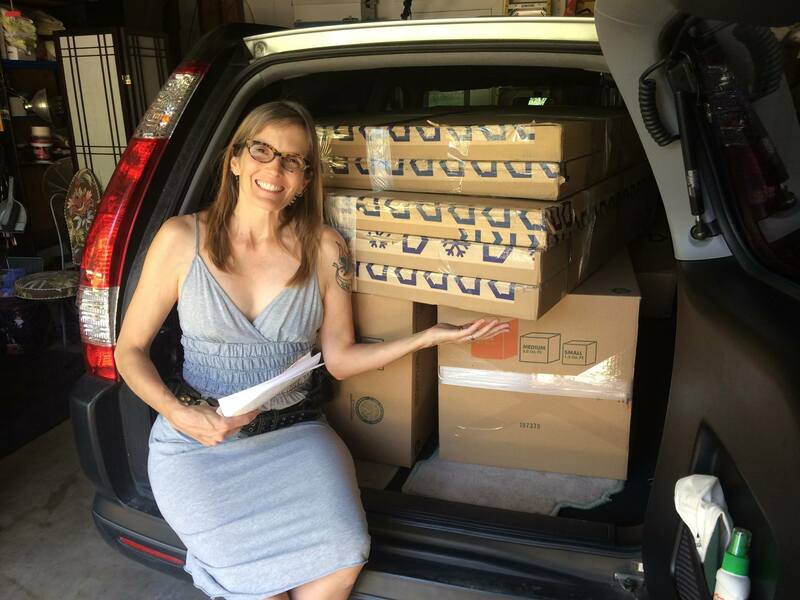 A word to the wise: when you ship art, just over-pack it. Optimism is not warranted, no matter who you choose for shipping services. Framed art with glass needs special attention. I put all my frames in bubble mailers, then into one moving box, and then into another, with more layers of foam and packing material around every layer. Also, FedEx ground was far and away the cheapest. I was overjoyed by how many friends came out to support me. I had a chance to visit with friends from New York and to celebrate the full moon with them on the beach. Other friends came from DC, and still more from Maryland. I was so honored. Even a crew of my mother’s friends made their regular beach visit to coincide with my show. The event itself was flawless. The Rehoboth Art League put out a lovely spread, and their sponsor Dogfish Head Brewery kept me in hefeweizen. 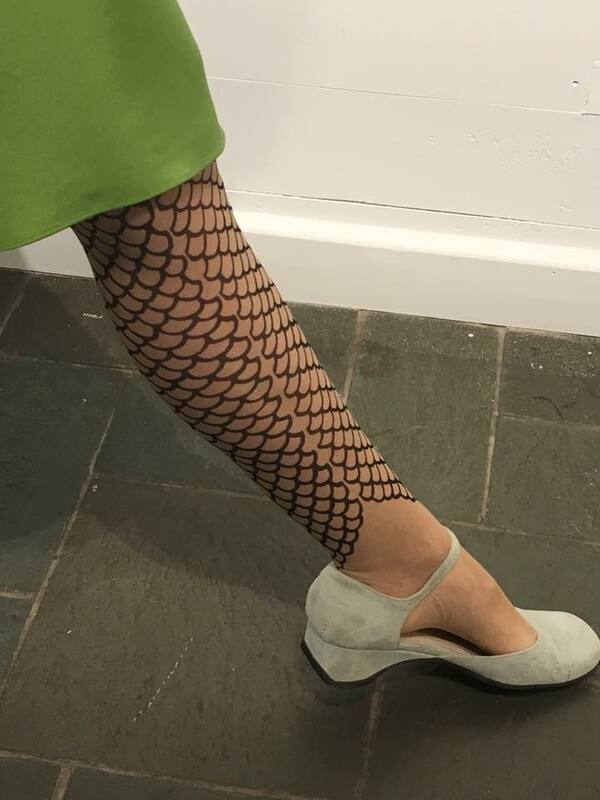 I had been saving these special hand printed stockings for years for just this sort of occasion. I even went live on Facebook. OK, another note, this one about The Rehoboth Art League. This place is cool, my friends. I dream of living near a community resource this cool. I believe the campus was donated in the 1930s to be the Art League’s on-going home. It has the feeling of one of WPA built parks, with charming wooden buildings of basic craftsman design sprinkled through the woods. The have multiple galleries, tons of classes, and great programming. They have some unbelievable potters, and I always want to buy many pieces when I am there. Alas, pottery and suitcases are not the best match. So, what I am saying is that you should go to Rehoboth Art League if you are ever anywhere nearby. *This organization is supported, in part, by a grant from the Delaware Division of the Arts, a state agency, in partnership with the National Endowment for the Arts. * I hear Ocean City has an Art League, too. You can make it a two for one. 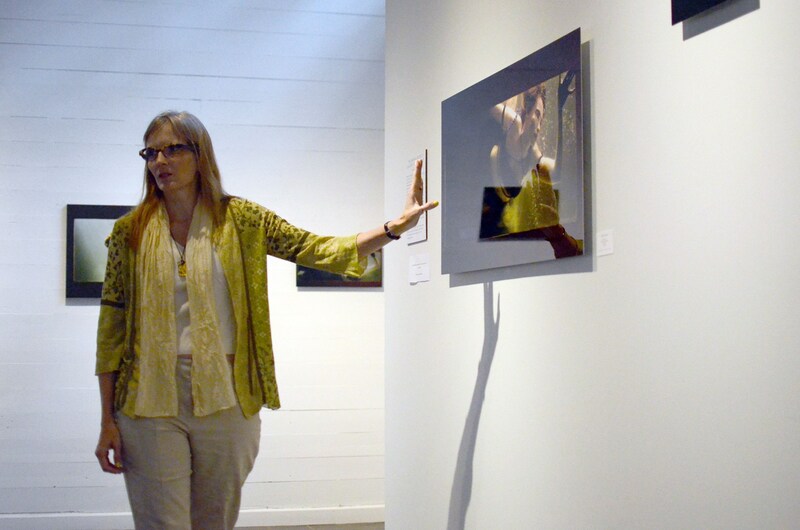 The final jewel in the crown of my weekend was giving my very first gallery talk. The weather was terrible that day, but 15 or 20 intrepid souls made it out. Folks, it went really well! Granted, The Mermaid Project is really easy for me to talk about. It is definitely core generated work, filled with so many of the things I love: theater, myth, story telling, dangerous beauty, costume, and friendship. I knew if folks did not want to hear about how the Odyssey was the true inspiration for the first image of the series with drowned man, they would probably laugh that the tales of how something new went disastrously wrong in every single shoot. Mercifully, they enjoyed all the tales I had to tell. They had great insights and questions, too. The gallery director complimented me afterward and again in a note. I guess I am pretty chatty for and artist. So, now I am waiting for the works to be returned to me. When the books are closed on the event itself, I’ll be in touch with a summer sale. There is also going to be a drawing for a free piece to all who signed my guest list at the show. If you are interested in any works, please let me know. What were the most intriguing sales? 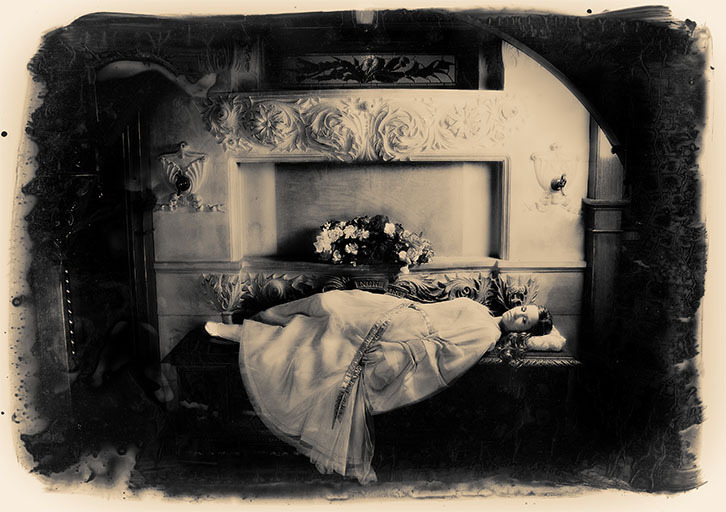 Three copies of the full bleed image used as the cover for Madeleine Robbins The Sleeping Partner and the Sleeping Beauty image that I made into a Victorian Style small print. The gallery director bought that one. Also, when you have you show at the seaside, there’s seafood dinner afterwards. There the story ends. And, she lived happily ever after. This Lensculture interview with the great David Hurn made me tear up. He says so much of what photography means to me. I shall be pondering it for a long time. Did I get your attention? It is time for the Lensculture and MagnumPhotography Awards, and as part of the celebration, they have shared this 63 page pdf guide with ideas, and suggestions from some of their accomplished members. Deadline to enter is May 16, 2017. 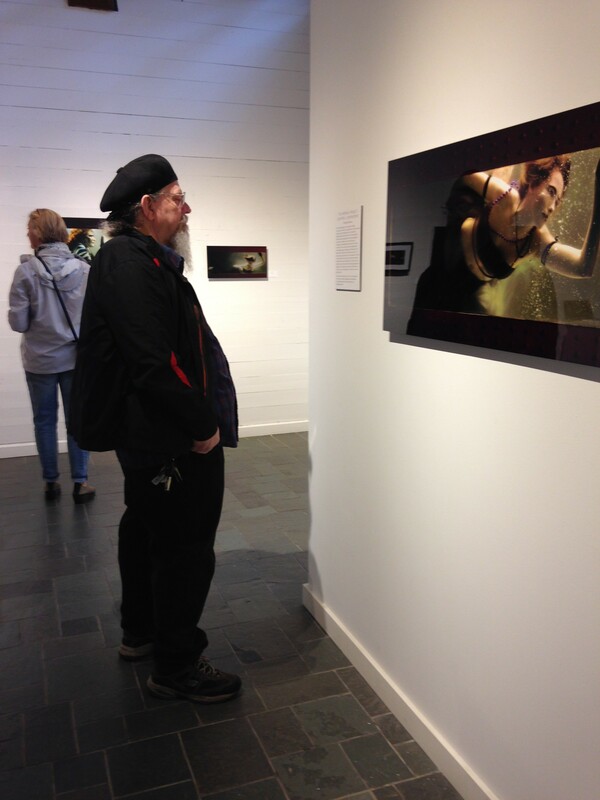 My show at The Rehoboth Art League, The Mermaid Project, Chapter One: Confinement, is right on schedule. The gallery posted a page for the show recently. The opening is Friday, May 12, 2017. Please RSVP at my Facebook event, so that I may look forward to seeing you there. They have scheduled a gallery talk on Saturday, May 13, 2017 at 2p.m. There’s a Facebook event for that, too. All the printing is done, a combination of canvas, aluminum, and fine art paper. There will be mermaids, plus some other mythically themed portraiture. 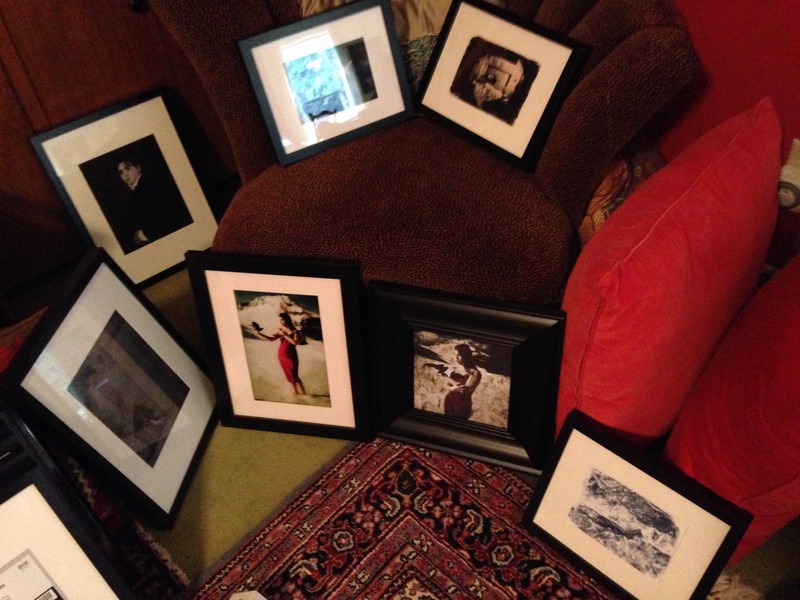 Next up is some framing for the fine art paper prints, and then I pack and ship it all. I am glad that I set my schedule to get everything done with lots of time. Working in the 11th hour only makes me stressed and unhappy. I maintain some work life balance this way, too. I am looking forward to my parents visiting for my Dad’s birthday. We are taking that old naval officer to the National Museum of the Pacific War, featuring the Admiral Nimitz Museum. Nimitz was from Fredricksburg, Texas. The museum is based around his home. It is widely respected as a terrific accomplishment in museum design and experience, and it is so well attended that more points of interest are springing up there all the time. My Dad grew up with special interest in the Pacific Theater: his father was the Officer on Duty during Pearl Harbor, and his vessel was the first sunk in the attack. My Dad and his brother and mother listened as the bombs rained down. After that, the family moved back to the mainland, and my grandfather shipped out to the pacific for the duration of the war. I’ll share some family photos and tokens from that with you in another post. After all, historical photography is one of the main reasons that I became a photographer. Sometimes, the personal and familial meets the wider narrative of history. When we get back to Austin, we have another great plan. As my dad came of age in the SoCal car culture of the 50s, he’s going to love hot rod weekend, too. My show, The Mermaid Project: Chapter 1, Confinement—Works by Annaliese Tassano, opens Friday, May 12, 2017 at The Rehoboth Art League, Rehoboth, DE. I will be giving an artist’s talk and walking through the gallery the following day, Saturday May 13, 2017. The show will be displayed through June 11, 2017. There will be a large number of mermaids, as well as some of the other mythic characters I have created over the years. Please, come visit if you are in the region. It is a lovely time to be at the Delaware beaches, warm, but before the crowds arrive for the high season. Memorial day is the official opening bell on summer, and my show will be up long enough for that popular weekend, too. Home in between travels, I have been working away on the show. There is a lot to do for every image that is not yet printed and ready to go. Many files need a little final touch up with current skills, and there are considerations on what size and ratio to print, which media to use for printing, matting, framing, shipping, cost analysis, pricing, editions, etc. This is where art meets business. I’ve been building up to it, but this is my first solo show at an established gallery, and a remote one, to boot. Like any big step forward, it has been challenging. On the days where I am resistant or underwhelmed, I just tell myself that this is my job, “Now, get up and go to work!” I am planning to have it all done 4 weeks before I actually need to take it to be shipped. That will allow me plenty of time for the errors, quality assurance, hold ups, reruns, etc. that tend to crop up on any big project. I thank my military kid background for giving me the grit to avoid all that eleventh hour stuff. I think that would kill me. Now that I have a fair bit of the decision making, both image and business wise, behind me, I am growing more and more pleased with the works stacking up around me. As the nail biting recedes, pride in my work and anticipation are building. 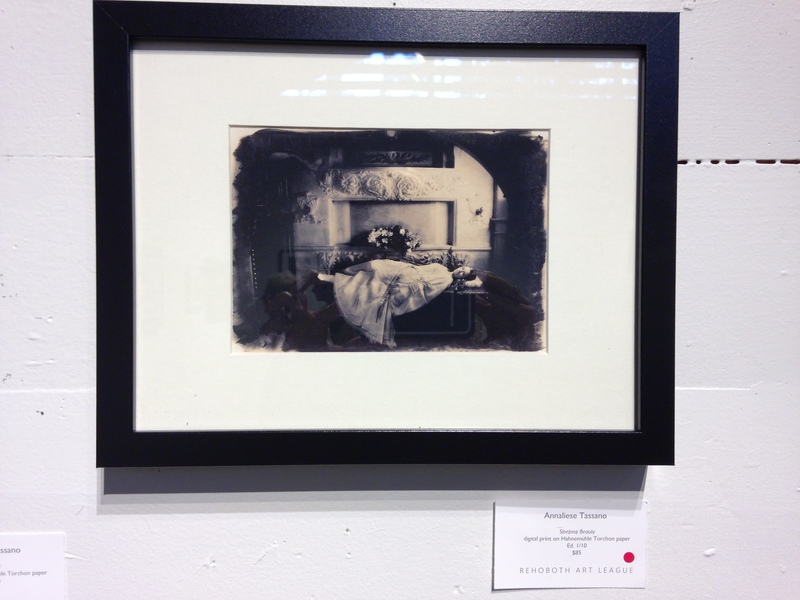 Old images take on new life, and I hope to add something to the show from my trip next week to Venice for Carnivale. That should be pretty mythic.